Mighty Mike is the drummer/singer of Voodoo Rhythm band The Juke Joint Pimps as well as drummer in Stag-O-Lee two-piece Grits'N Gravy. For years he has also been on the road doing his one-man-band thing, playing drums, guitar, harp, and singing at the same time. 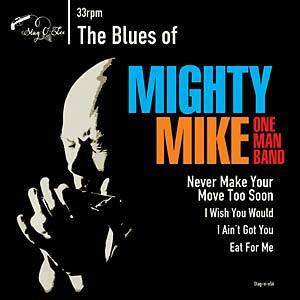 This 33 rpm 7" EP features four tracks from The Blues of Mighty Mike, his debut album for Stag-O-Lee, all recorded live in one take. 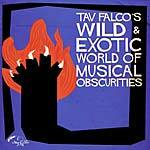 No overdubs, no fancy knob-twiddling, just great blues-trash Voodoo Rhythm-style. He covers B.B. King and Billy Boy Arnold as well as offering two of his own songs. Comes in a stylish picture cover.